This entry was posted in Jackson-Pratt drains, Prophylactic mastectomy recovery and tagged Breast cancer, Jackson-Pratt drains, Mastectomy, shower by Rachel Joy Horn. Bookmark the permalink. 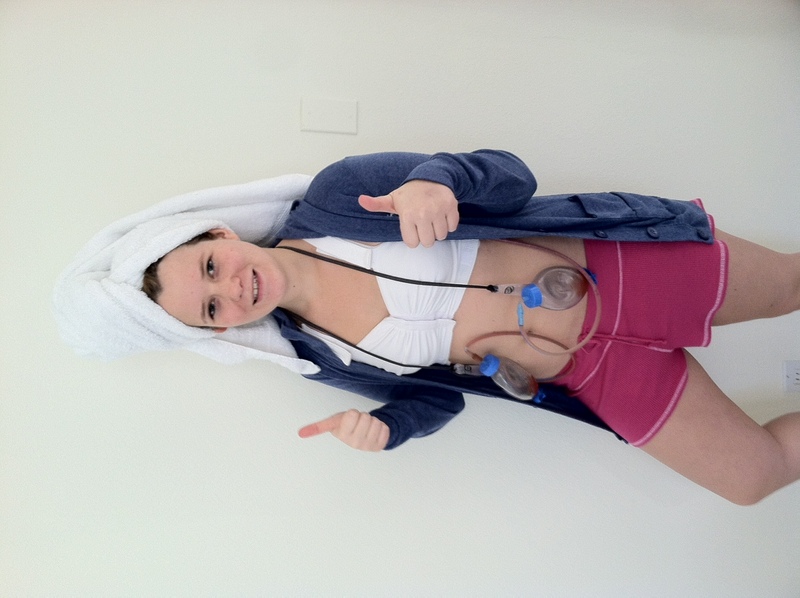 Hi Rachel, I found you while doing a Google search for “hang JP Drains shower”, I’m using your photo (copyright credit given to you with a link back here) for a post I did regarding tips for recuperating at home after bilateral mastectomy with immediate reconstruction. If you want me to remove your photo, just let me know. Oh, the post will be dated September 13, 2013, which was one month after my surgery.